TOFGA is run by a volunteer board who is working hard to build a sustainable future for the organization. Donations help cover TOFGA's operating costs and allow us to grow the annual conference and other events throughout the year including farm tours, workshops, and farmer trainings. Donations are tax-deductible and greatly appreciated! The Texas Organic Farmers & Gardeners Association (TOFGA) is the leading voice of education and advocacy for organic food production in Texas. As a member-run and member-funded organization, TOFGA includes farmers, ranchers, gardeners, dairies, cheese makers, soil amendment producers, nurseries, food markets, farmers markets, educators, students, and more. Our mission is to educate producers and consumers on the many benefits of organic agriculture and to promote its use throughout Texas. We host numerous educational workshops and farm tours throughout the year. Our largest event is the TOFGA Annual Conference held every winter. See our conference archives for archived conference materials and speakers. TOFGA is managed by a volunteer board of directors and regional representatives throughout the state. We are a registered 501 (c)3 organization and your donations to TOFGA may be tax-deductible. Click here to find out your region and Click here to contact your regional director. Several of TOFGA's regional director spots are vacant - please contact us today if you are interested in serving as a regional director! 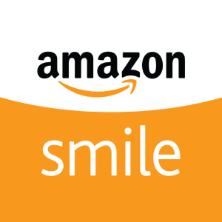 Support Tofga With amazon smile! Next time you shop on Amazon, your purchase can support TOFGA at no extra cost! Click here and search for "Texas Organic Farmers and Gardeners Association" to choose TOFGA as your charity of choice. Thanks for the support, and please tell your friends and family!